Màiri Anna NicUalraig agus Seán Ó hÉanaigh le ceòl à Alba 's Èirinn bho leithid Karen NicMhathain agus Noreen O' Sullivan. Mary Ann and Sean with music from Scotland and Ireland. Màiri Anna NicUalraig agus Seán Ó hÉanaigh le ceòl à Alba 's Èirinn. Anns a' phrògram-sa, cluinnear òrain agus pìosan ciùil bho leithid Karen NicMhathain, Noreen O' Sullivan, Gillie NicChoinnich, Alasdair Mac 'Ille Bhàin agus Ossian. 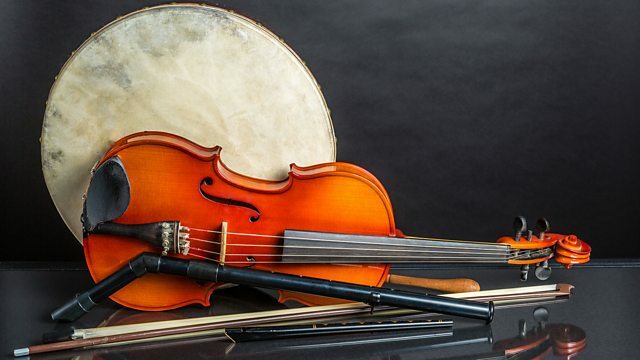 Mary Ann Kennedy and Seán Ó hÉanaigh present music from Scotland and Ireland. Amongst the musicians featured in this edition are Karen Matheson, Noreen O' Sullivan, Gillie MacKenzie, Alasdair Whyte and Ossian. ROUGH GUIDE TO SCOTTISH MUSIC.